BUY MORE, SAVE MORE * *Limited time only. Discount applied in cart. Cannot be combined with other offers. From the makers of Muscletech®, America’s #1 Selling Body Building Supplement Brand, Six Star Pro Nutrition® offers premium supplements at a smart price. Whether it’s your first time in the gym or you’re a seasoned vet, pro athlete or just trying to get that extra edge in your sport, everyone’s an athlete, and every athlete needs to fuel their body with the best sports nutrition products available. *MuscleTech® is America’s #1 Selling Body Building Supplement Brand based on cumulative wholesale dollar sales 2001 to present. 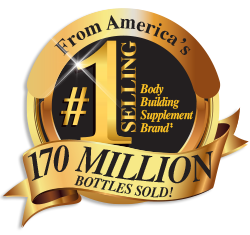 Over 170 million bottles of MuscleTech® and Six Star® products combined have been sold.